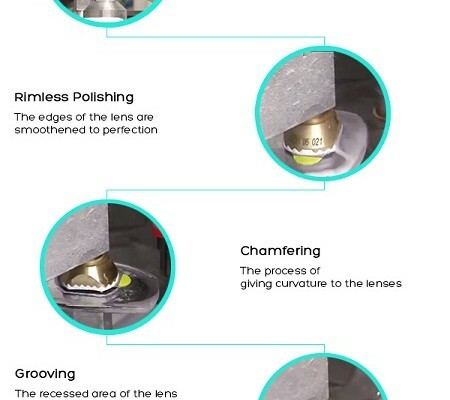 Summary: Contact lenses are an important part of our lives. Along with an aesthetic appeal, contacts also provide therapeutic use. Common ailments like dry eyes, corneal abrasions and atypical disorders like filamentary keratitis and post-keratoplasty can be treated with contact lenses. No individual, especially those who live in the 21st century, likes being bespectacled. Gen Y has been opting for contact lenses over spectacles, no matter how fancy specs may look. These thin plastic films of corrective lenses have become an integral part of our lives. Nowadays, most of the people opt of contacts not for medicinal purposes but to get an aesthetic appeal as well. One can change their eye colour, look and appearance with contact lenses and look fabulous every day. But we must also not forget that these contact lenses were made primarily for therapeutic purposes. Apart from being used as the ‘breaker of monotonous routine’, contact lenses are also known to treat serious ophthalmic disorders. Dry Eyes: Our eyes need to be continuously kept moistened and this work is done by the tear film and tear-ducts present in our eyes. Our continuous blinking moistens our eyes at regular intervals. But some people suffer from a condition in which the eye doesn’t have any moisture element. This causes vision-related problems in the long run. Caused by: Regular use of computer and smart phones decreases our blinking rate as we concentrate on our work. This less blinking results in tired, dry eyes that we rub vigorously. Vigorous rubbing leads to damage of tear film and makes our eyes prone to damage. Treatment:To protect our eyes from all the damage and to help our eyes heal quickly, doctors prescribe scleral lenses. A scleral lens is a large contact lens that covers the cornea and acts as a liquid filled vault. It keeps the cornea moistened and lets the damaged film of our eyes repair itself. Corneal Abrasions: Corneal abrasions happen due to trauma on the surface of eyes. 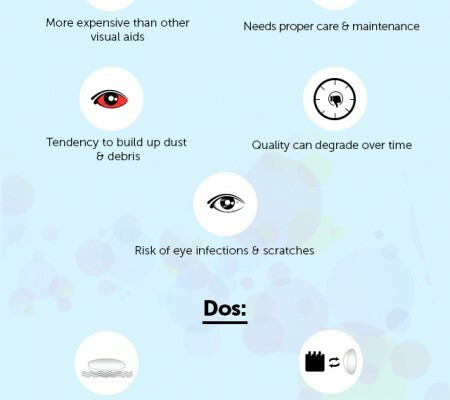 Corneal Abrasions are scuffs and scratches on the surface of cornea that affects eyesight and results in pain, excessive tearing, photophobia and excessive squinting. Caused by: Walking into tree branch, jabbing of eye with finger, presence of dust and dirt in eyes and them rubbing it can result in corneal scratches. Treatment: Soft contact lenses with eye drops are used to treat corneal abrasions. A bandage contact lens is used to protect diseased or injured cornea from constant rubbing or blinking. Contacts cover the wounded cornea and make sure that regular blinking and rubbing would not hurt the cornea and allow the damage to heal. Along with treatment of dry eyes and corneal abrasions, Contact lenses are therapeutically used to treat recurrent corneal erosion, filamentary keratitis, post-keratoplasty and as post-surgical conditions bandage in laser treatments. 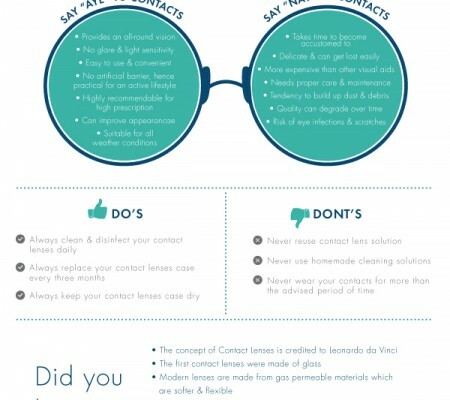 Contacts provide relief from pain and promote fast corneal healing. In an era where work takes toll on health, contact lenses provide a great solution to keep our eyes safe. Disorders and diseases can be treated by contact lenses without any side effects Gone are the days of bespectacled faces and painful eyes, now with contact lenses, vision is clear and eyes remain beautiful.